Lauded by Krzysztof Penderecki as the “next Goddess of Violin,” violinist Ju-Young Baek made national headlines in Korea with her appointment as the youngest faculty member of the prestigious Seoul National University. In addition to her appointment, Ju-Young Baek enjoys an extensive international career. Many of world’s most important venues such as Carnegie Hall, Lincoln Center in New York, Philadelphia’s Kimmel Center, Kennedy Center in Washington D.C., Suntory Hall in Tokyo, and Seoul Arts Center, have presented her in recitals as well as a soloist, with the London Philharmonic, Philadelphia Orchestra, NHK Symphony, Budapest Festival Orchestra, Finnish Radio Orchestra, Tokyo Symphony, and Seoul Philharmonic, among others. Also as an active chamber musician, Ms. Baek has performed at the festivals of Marlboro, Ravinia, Aspen, Bridgehampton, as well as Beethoven Festival in Poland, Evian Music Festival in France, Kusatsu International Music Festival in Japan, and the Great Mountains Music Festival in Korea. 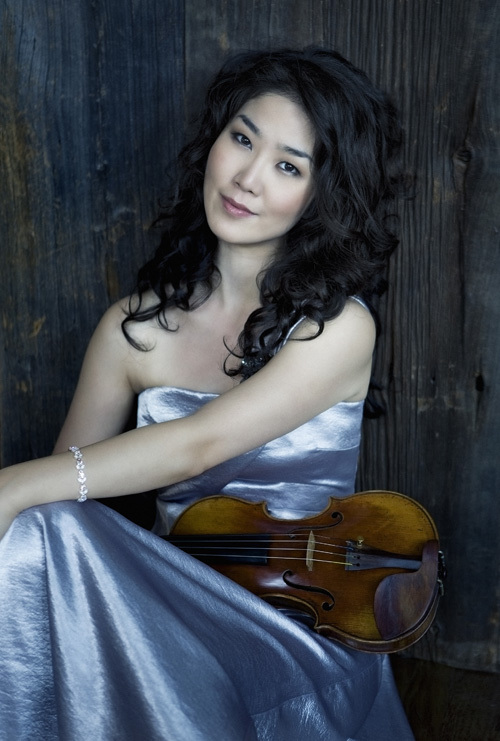 The recipient of numerous awards, Ju-Young Baek was a laureate at the Queen Elisabeth International Violin Competition, Bronze Medalist at the International Violin Competition of Indianapolis with four special prizes, top prize winner at International Paganini, Sibelius, Long-Thibaud, and Seoul International Violin Competitions. Her career was launched after winning 1st prize at the Young Concert Artists International Auditions in New York City and the Astral Artists International Auditions in Philadelphia. After a mesmerizing performance at Penderecki’s presence in 2009, Ju-Young Baek will perform his violin Sonata and the Violin Concertos under Mr. Penderecki’s direction, during the 2011-2012 season. Ms. Baek holds degrees from The Curtis Institute of Music, The Juilliard School, Conservatoire Nationale Superieur de Paris, and the Manhattan School of Music. Her first CD with Brahms and Bruch concerti was released in fall 2009, and her second CD with all solo violin works including Bartok, Schnittke and Bach, is to be released early 2011.